We’ll use two PC for building this small business computer networking. All these tasks here I’m going to show is done using Cisco Packet Tracer. 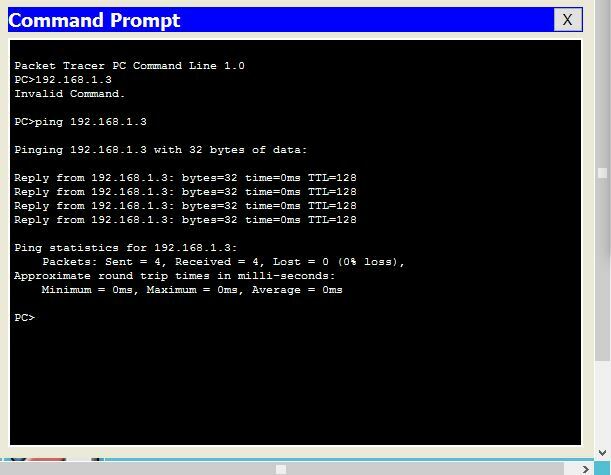 As you know cisco packet tracer is a powerful network simulator, which can help us to design a network virtually. It is alwaya recommended to use the latest version of cisco packet tracer. If you don’t have the latest version of cisco packet tracer, you can find the latest version of cisco packet tracer in whilenetworking.com . Also if you want to use old version of cisco packet tracer you can also check in whilenetworking.com .We can implement IP address, install networking software and do so many tasks virtually as like real life experiment. 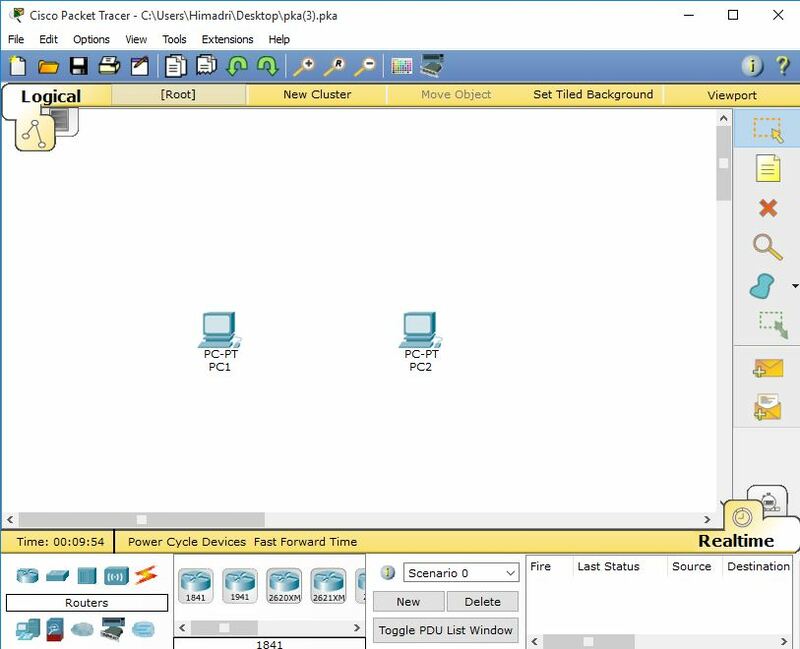 Step a : At first after opening the cisco packet tracer we have selected the two PC (Desktop) and after that drag that two PC to the drawing space, that means to the logical place. Step b : Now we need to connect the two PC with the cable. We can do this using auto connection. Just select the auto connection cable which stays left bottom side of the packet tracer. After selecting auto connection, click on the PC1 and select the first Ethernet 0, that means Fa0 and at the same way click the second PC, that means PC2 and click the first Ethernet, that means Fa0. So through this step we can now be able to create a cable connection. To implement IP just click the PC icon. Then click the desktop Tab. After that click the IP configuration. Here you can get the place to implement IP. Please be careful to select the option “Static” before implementing the IP address. Now we’ll check that our network is working well or not. So lets check that. Just look at the right side of the cisco packet tracer. Here is two message icons you can see. One is open envelope and the other is close envelope of message. Just click the close envelope and after that click the PC1. Later click the PC2. Now check the right bottom of the cisco packet tracer. If everything of your networking is OK, you will see a message “successful”. If there is problem of cable connection or if there is a problem of implementing IP address of PC, you will get a “failed” as notification through that option. In this type of “failed” case we need to analyze the network more and more clearly and need to check the cable connection and also need to check the IP address of the both PC. Hope that you can successfully do that. Here in this system you can connect the two PC, but if you want to connect three or more PC, then you need a hub. We’ll learn that type of connection from another post. We can now be able to identify and implement correct cable for the cable connection. Verify the basic requirement of the network. So from that post I think that you can now be able to know how to setup a network for your small business networking. This process is very easy. You can do this easily. Just have a try. If you want to know about Monitor Network, you can check this post. For your better practice, I’m sharing you the packet tracer file. Here is also instruction included. This packet tracer file is provided by cisco. Hope that this will help you to gain knowledge about how to set up a network.